Generating good lead magnet ideas can become a long process. Simply throwing together an e-book or whitepaper just because other businesses do it would be a mistake. High-converting lead magnet ideas offer so much value that your target audience can’t say no. The more you refine your lead magnet, the more qualified your leads become because you’re offering exactly what those leads need at the exact right time. 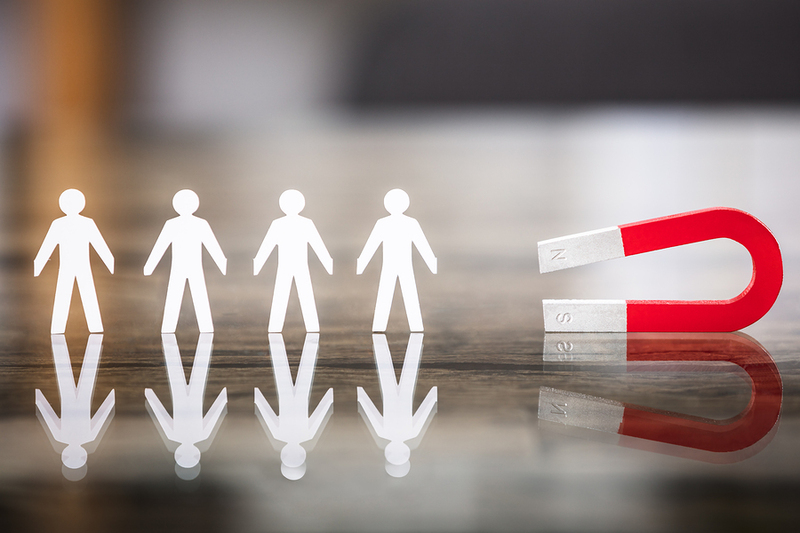 Lead magnets can work for nearly all audiences, including those of B2B and B2C businesses. They’re powerful because they open the door to further communication between the business and the lead. But what are lead magnets and what lead magnet ideas work best? Why Does Your Website Need a Lead Magnet? What Constitutes the Perfect Lead Magnet? 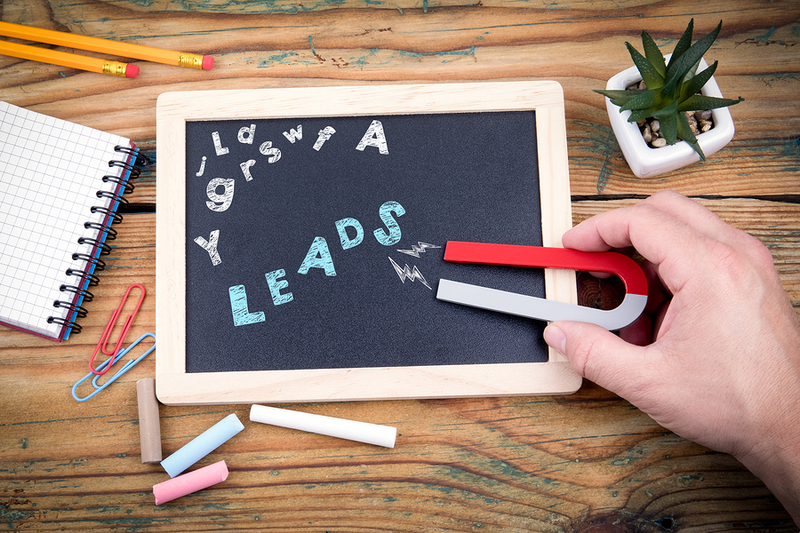 A lead magnet is a resource or other item of value that businesses use to collect leads. The business asks the visitor to provide contact information, such as an email address, in exchange for the lead magnet. It’s essential to narrow down the right lead magnet ideas, though. For instance, in 2017, Hubspot produced upwards of 130 lead magnets. That’s a ton of content. Together, those lead magnets accrued nearly 54,000 shares across social media channels. However — and here’s the important part — 77 percent of those social shares came from the top 10 lead magnets. In other words, fewer than 10 percent of the total lead magnets created generated more than three quarters of the social shares. Producing better lead magnet ideas for your specific audience proves critical. Consumers have become protective of their personal information. It’s largely related to volume. The typical office worker, for instance, receives more than 120 emails every day. 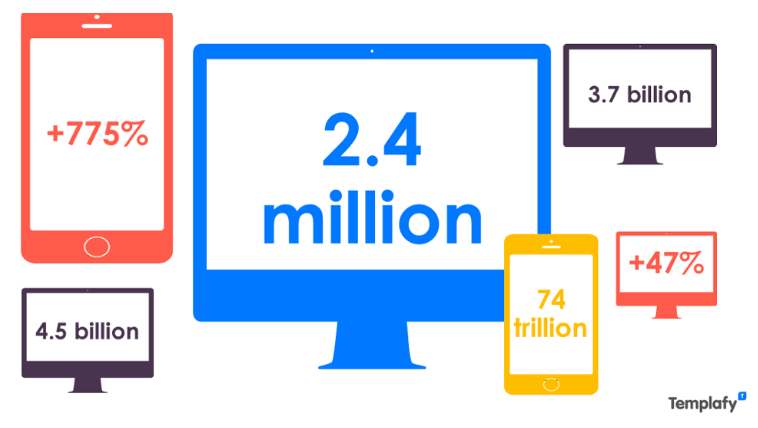 Nearly 2.5 million emails get sent daily, resulting in 74 trillion emails sent annually. With these numbers in mind, you can probably understand why one of your prospective customers doesn’t want to add another group of emails to his or her inbox. Lead magnets are important because they provide incentive. Your prospect might not hand over contact information for free, but he or she might have a change of heart if you’re offering a valuable resource. Generic requests don’t work anymore. Free newsletters are everywhere. Your prospects want to know what you’re offering in exchange for the signup. Unfortunately, I don’t have a cut-and-dried answer for you. The best lead magnet ideas are inspired by your audience. What do they need? What problems can you help them solve? What would lessen their stress, save them time, or help them reach a goal? Answering those questions will help you build the perfect lead magnet. There are lots of ways to collect information about what your audience might want in a lead magnet, such as the following. Start farming information from these sources to figure out what might entice a qualified lead to part with his or her contact information. I’ve come up with 15 lead magnet ideas that I think will start you in the right direction. You can put your own personal spin on each one, based on the demographics and buyer personas inherent in your audience. This is the classic tried-and-true lead magnet idea. It’s easy to understand because most people have read an e-book at least once or twice, and it’s easy to put together. 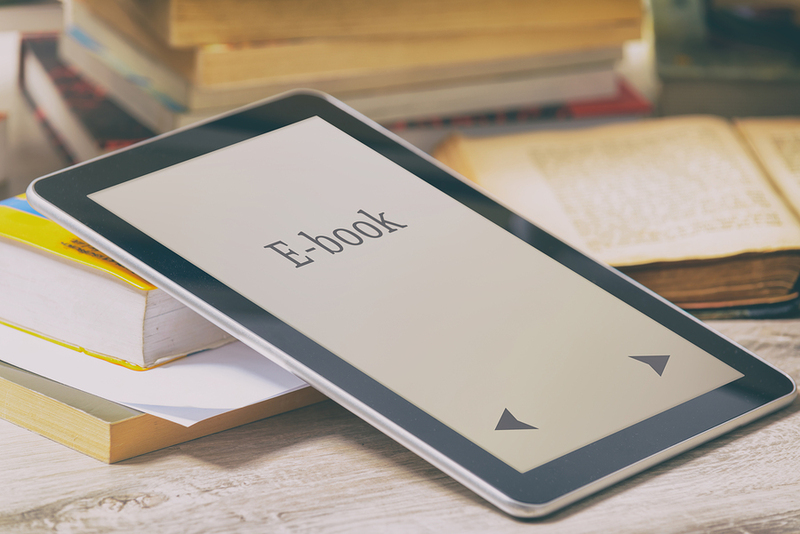 You don’t even have to create an e-book from scratch. Consider compiling your most popular blog posts into e-book format. Add a fresh introduction and conclusion, and you have a lead magnet. I’ve done lots of webinars over the years. They’re great for connecting with prospective leads and customers, developing your company culture, and interacting with your audience. Instruction: Most webinars focus on teaching attendees how to accomplish something. They provide valuable information that participants can apply to their own goals and pain points. Incentive: A webinar also usually concludes with a discount code or some other incentive for the participant to make a purchase. You can create a webinar for free or use more advanced premium tools. Did you know that online education — also sometimes called knowledge commerce — is a $275 billion industry? You don’t need teaching credentials to host a mini course as a lead magnet. Your mini course could consist of several elements, such as weekly emails with homework and articles, videos, audio recordings, quizzes, and more. To-do lists and checklists are all the rage. Many people have given up pad and pen in favor of digital alternatives. Todoist, for instance, is a digital list-making app. More than 10 million people use it to organize their lives. This type of lead magnet can work across many industries and verticals. 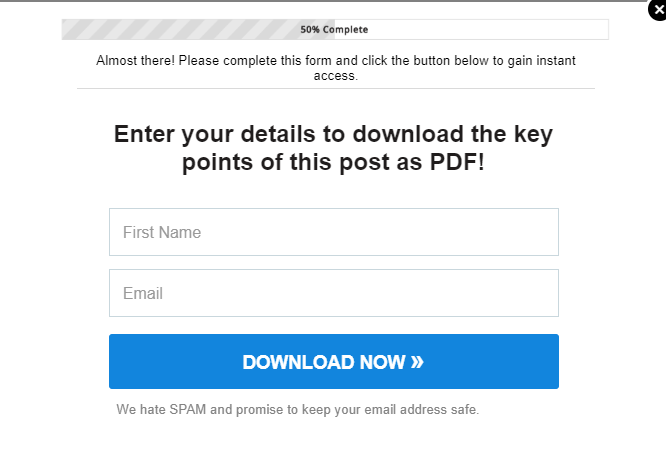 Plus, it’s easy to create and distribute as a free download to email opt-ins. I use spreadsheets every day. Do I love them? Absolutely not. But I’m indebted to them because they make my life more organized, functional, and accountable. I use them daily for project management. Your prospective customers use them, too. Alternatively, if they’re afraid of spreadsheets, they might need someone to set up a spreadsheet for them. Design a spreadsheet that people in your industry would find useful. Even better: Include a detailed instruction manual for customizing the spreadsheet, such as changing cells’ colors, programming calculations, and more. Think of a toolkit as a lead magnet on steroids. It combines multiple resources into one file — usually a compressed zip file — to create more value. For instance, a toolkit might include a brief e-book or whitepaper, plus a checklist or calculator. It might even incorporate a template for the user to follow or an explainer video. Get creative. There are no rules when it comes to toolkits, so throw lots of ideas against the wall to see which ones stick. 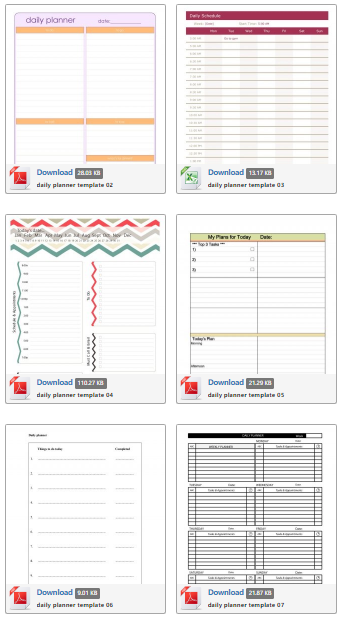 For years, TemplateLab has created tons of day planner formats for free download. 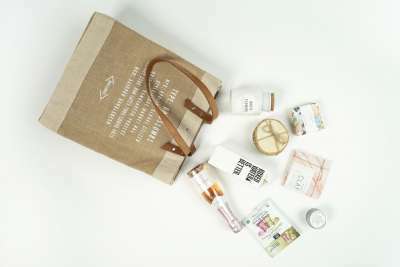 People can choose the formats they like, print them off, and assemble their own day planners. Let’s face it, though: Generic planners won’t work for everyone. Maybe you can create a planner designed specifically for people in your industry. Consider offering it as both a free printable download and as a digital PDF file that users can fill in on their computers. Some lead magnet ideas take more work than others. Calculators aren’t particularly complicated, but they require coding skills and an affinity for math. Of course, you can always outsource the project. VWO created a simple calculator that allows visitors to determine whether their A/B tests have achieved statistical significance. You could easily package a calculator like this as a lead magnet for your prospects to download. What’s the first thing you do when you stop to fill up the gas tank in a new destination city? You pick up a travel guide. Or, at least, you used to. Now we have smartphones equipped with The Google. Guides are still relevant and useful, though. 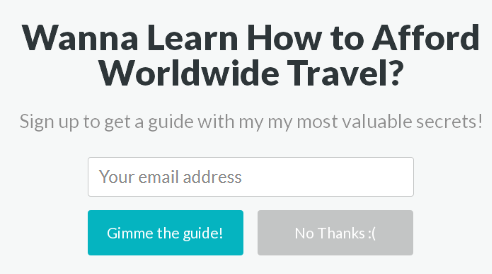 Light Travels uses a free guide on budget-conscious travel as a lead magnet. It’s relevant to the site’s audience, has a unique headline, and incorporates a great call to action (CTA). It could be a winner. I don’t have to tell you that infographics are everywhere. In fact, infographics can boost your web traffic by 12 percent or more, and in a Venngage study, 42 percent of marketing respondents reported that original graphics, including infographics, prove most engaging among their audiences. By all means, release infographics for free. But you can also stockpile a few to use as lead magnets. MarketingProfs created a beautiful, long-form infographic on content marketing. You could create something similar for your audience, then use a screenshot of a portion of the graphic as a teaser. That’s just one tiny part of the image, but it demonstrates the rest of the infographic’s value for the prospect. Did you know that almost 30 percent of all Internet users watch videos on YouTube? That’s more than one billion people. Of course, YouTube isn’t the only source of video, so the percentage of Internet users who watch videos of some kind probably exceed that number. 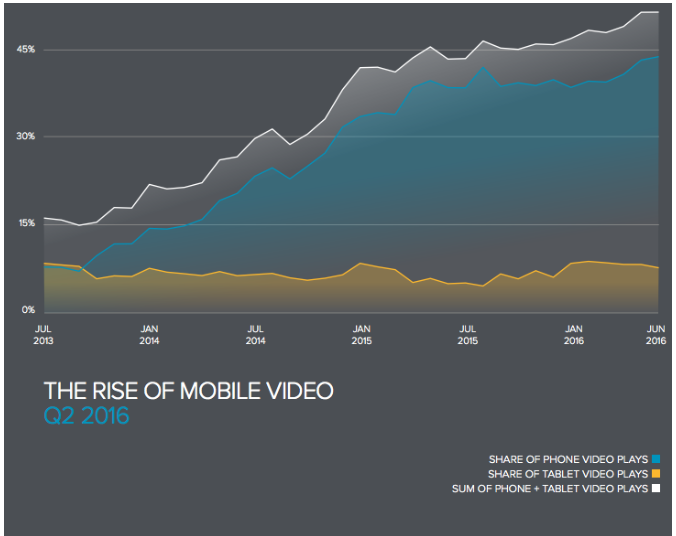 Videos are engaging and immersive. They stimulate more of our senses, which is why many people prefer to watch video than, say, read a 40-page e-book. It’s also big on mobile. And, since nearly 90 percent of marketers use video, now might be a good time to jump on the bandwagon. Your first assignment? Create an educational video as a lead magnet. We all have different preferences for consuming information online. Here on Crazy Egg and on my personal blog, my posts tend to range from 2,500 to more than 30,000 words. Many of my readers can’t consume an entire blog post in one sitting. That’s why it’s often beneficial to allow people to download your content in PDF format. They can save it for reading later. It’s a simple popup. Just supply your name and email address, and you can download the blog post as a PDF. I’ve co-created more than 650 podcasts to date. 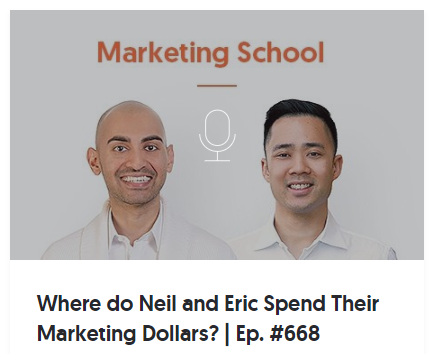 Eric and I post short, high-value audio recordings for our audience, and we get tons of positive feedback. We don’t use our podcasts as lead magnets, but we could. What if we recorded a podcast that was 60 minutes long instead of the usual five or six minutes? A deep dive into a topic via podcast can work just as well as video. You get to talk directly to your leads, which increases engagement. People love to take quizzes. They want to learn more about themselves, get some fast entertainment, and gain insights. If you can create a thought-provoking quiz, you’ll have a great lead magnet. Check out the exit popup that appears on Legion Athletics’ website. 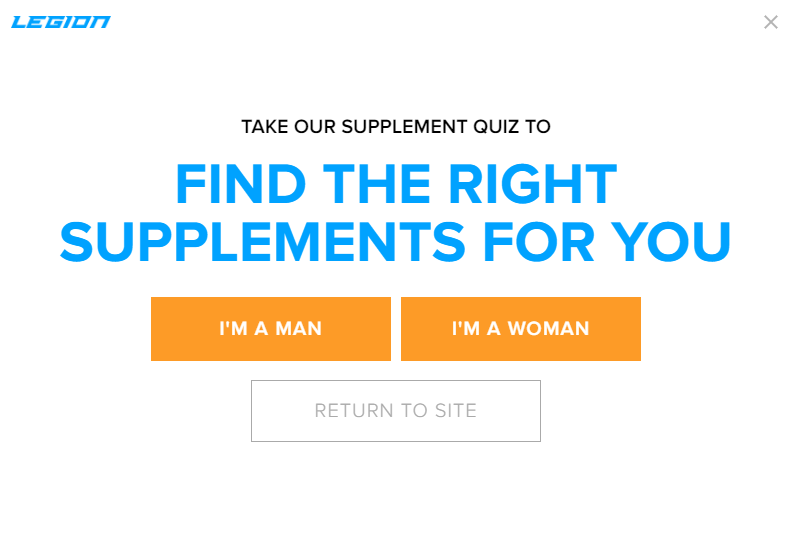 It’s inviting you to take a supplement quiz. You just have to click on one of two buttons to get started. 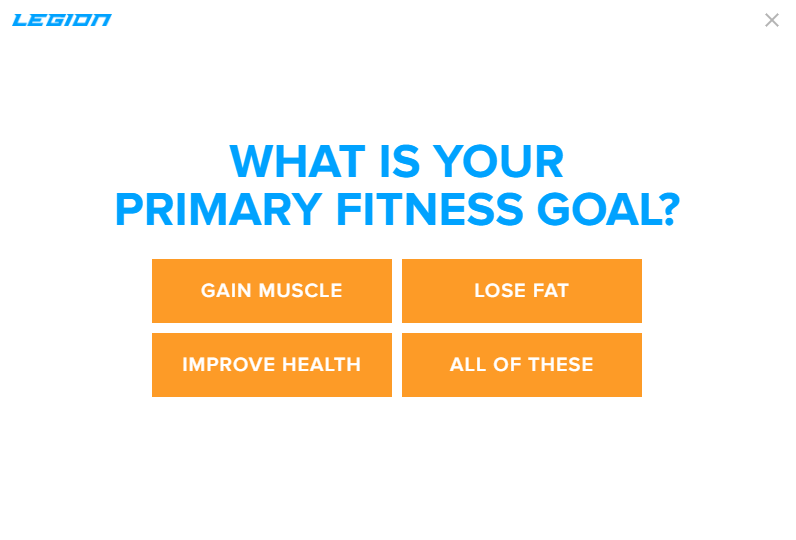 You’re then asked for your primary fitness goal. 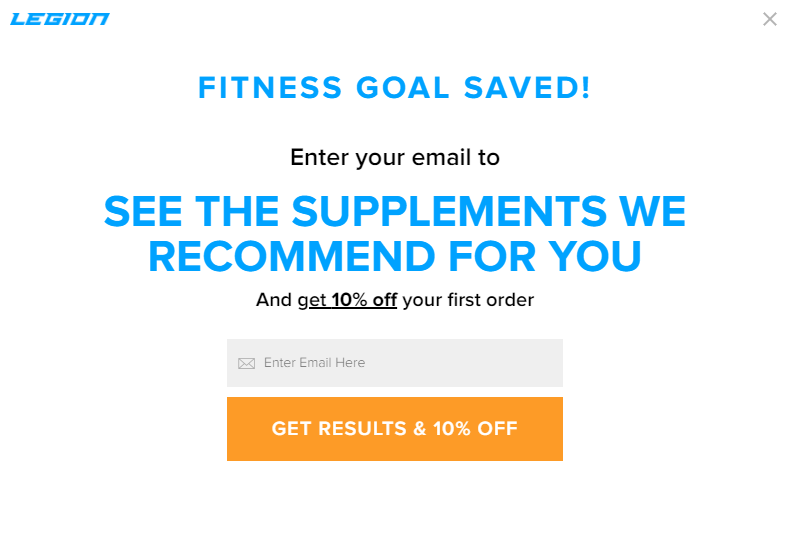 Just enter your email address to not only get your recommended supplements, but also to get 10 percent off your next order. I’m sharing this example because it’s genius. You can incorporate the quiz into the process of acquiring the lead or use the quiz as the lead magnet. It goes both ways. 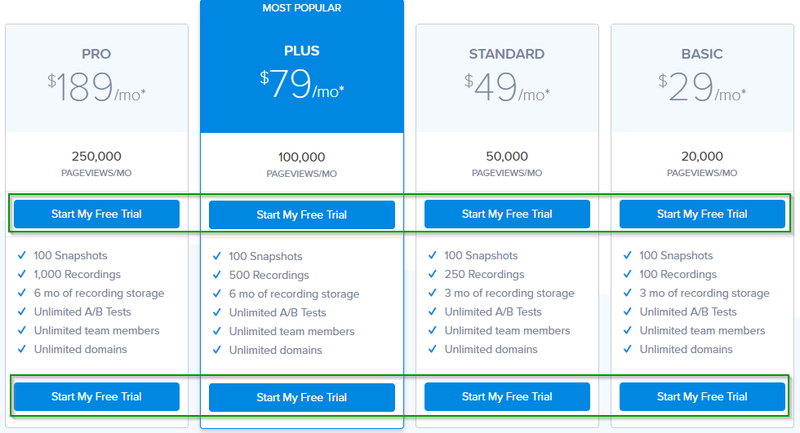 A free trial is one of the most powerful ways to generate leads. If you don’t have any other lead magnet ideas, go with this one. Of course, it only works if you’re offering a membership site, software app, or a similar product. A free sample, though, can work for other products. To set up a lead magnet, you need lead magnet ideas. Lots of them. Earlier, I mentioned Hubspot’s analysis of its 2017 lead magnets. Of the more than 130 lead magnets produced and offered, just 10 generated more than 75 percent of engagement. You need a lead magnet that will convince your viewers to convert. It’s not easy, and you might have to run a few experiments, but it’s worth the effort. Let’s say, for instance, than you generate 200 leads next week. You offer a product that costs $49.99, and 45 of those leads buy your product. In this case, the value of each lead you generate is $13 in change. Just multiply the number of customers by the product price, then divide the answer by the number of leads generated. Your goal is to increase the value of your leads, so you need lead magnets that bring in more prospects. If quality matters when it comes to lead magnet ideas, you don’t want to rely on guesses alone. An incorrect assumption can cost you thousands of dollars or more in leads you didn’t snag. A/B testing your lead magnets can help you determine which ones produce the most leads. 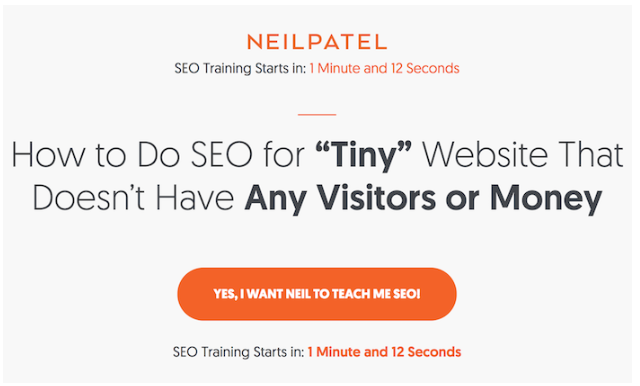 An A/B test presents two identical pages of your website to the same number of visitors. You change just one variable on those otherwise identical pages, such as the type of lead magnet. For instance, you might have one landing page that advertises a free e-book and another that advertises a free checklist. Over time, as more and more people sign up for your email list based on your lead magnet, you’ll figure out which magnet is more attractive. For instance, if 30 percent more people download the checklist than the e-book, you can be pretty confident that your audience finds the e-book more compelling. 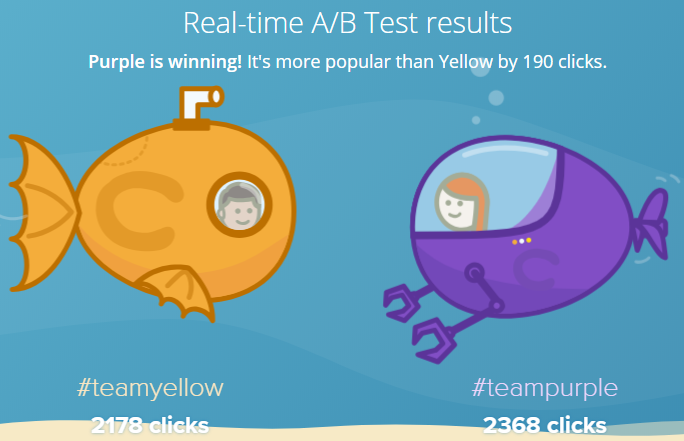 Running an A/B test manually takes tons of time and effort — not to mention coding skills. Fortunately, you can run A/B tests using a tool like Crazy Egg. It’ll pick up the heavy lifting and discern a winner of your A/B test. All you have to do is install a snippet of code on the pages you want to A/B test. Crazy Egg takes care of the rest. 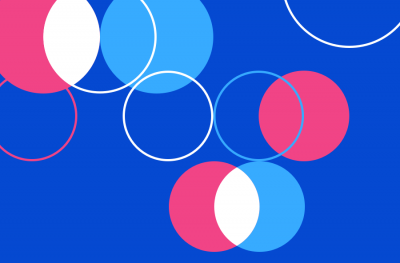 Unlike many A/B testing tools, you can keep running these tests on a cyclical basis. For instance, if the e-book “won” the first test, maybe you want to compare it to a calculator or toolkit. Set up another test and see which one garners the most signups. Next, test the winner against a whitepaper, and so on.You’ll continually optimize your lead magnets for maximum conversions. Generating lead magnet ideas isn’t difficult. I’ve given you 15 options to get your creative juices flowing. The trick is in finding the best lead magnet ideas. Which ideas will lead to exponentially increased conversions? A/B testing offers the ideal answer to your conundrum. Produce several lead magnets, then test them against one another. Use a tool like Crazy Egg for stress-free testing and to make sure your results as as accurate and efficient as possible.